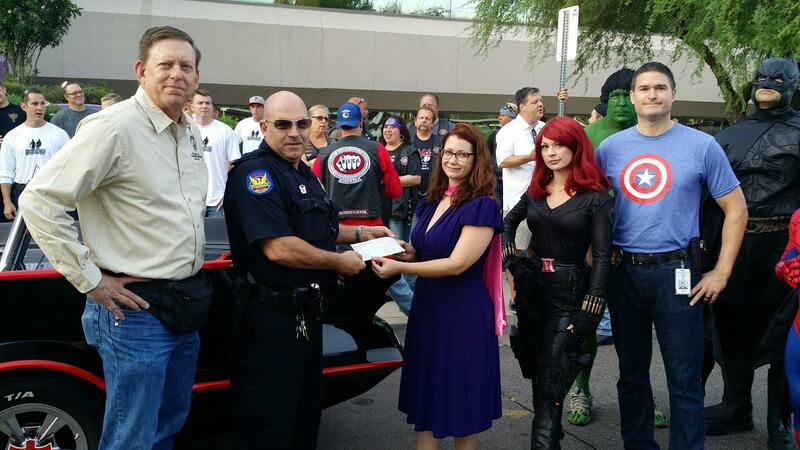 Phoenix Law Enforcement Association > PLEA News > Superhero September Event a Great Success! Superhero September Event a Great Success! 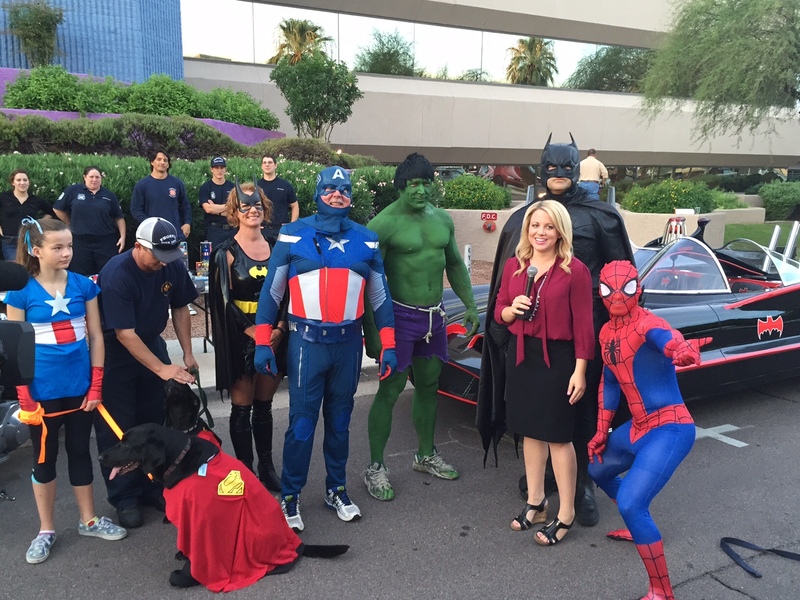 On Tuesday September 1, 2015 The Phoenix Police Department’s Family Advocacy Center in conjunction with Child Help USA Hosted Superhero September that will hopefully, become an annual event. 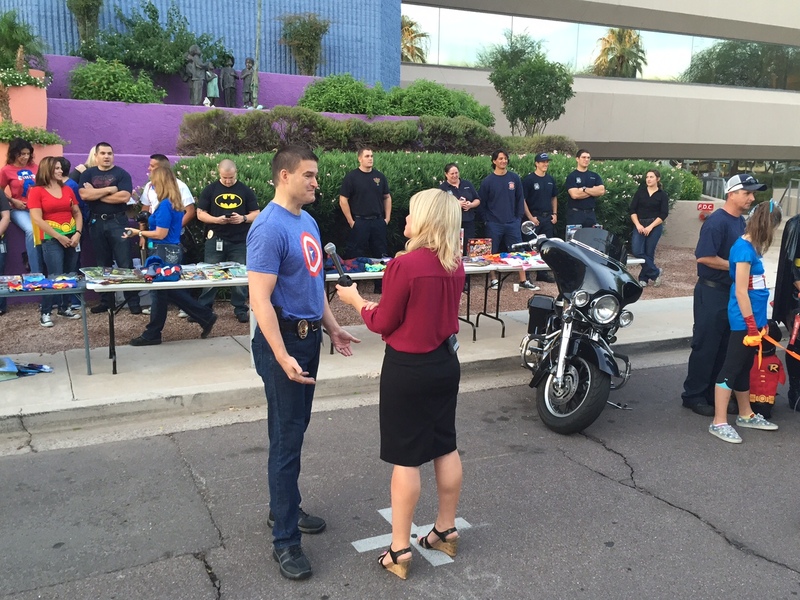 The event was the brainchild of Phoenix Detective Sean Reavie. The purpose of the event is to generate community support in the form of donations of items tied to the Superhero genre to assist in helping kids who are victims of child abuse. This event was a great success and was well attended and covered by local media. 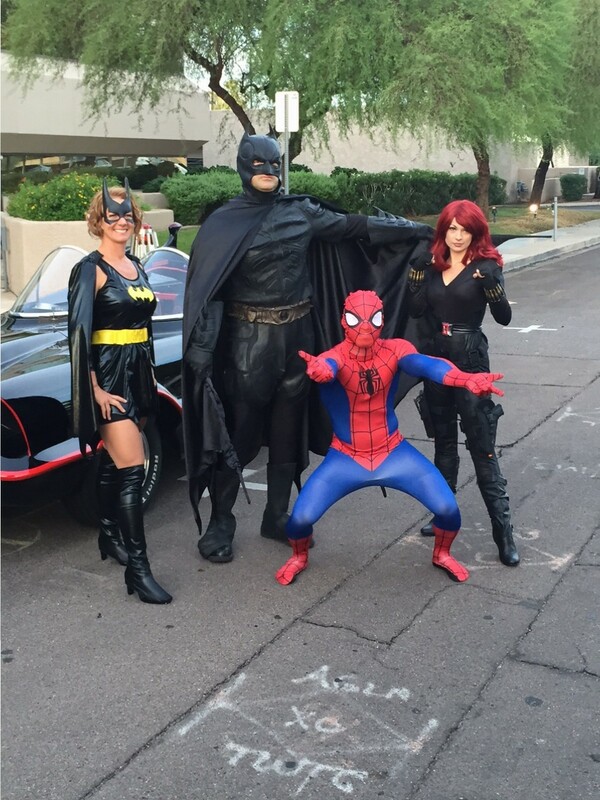 Several Superheros were also in attendance to include the Incredible Hulk, Black Widow, Spiderman, Captain America. Batman and Batwoman were also in attendance and arrived in the Batmobile. CLICK HERE to view the News 5 video of the event. Marvel themed superheros Batwoman, Batman, Spiderman and Black Widow strike a pose in front of the Batmobile.